The Ultimate Mushroom Burger Cook Off! My good buddies over at Life of Dad have been teaming up all month with The Mushroom Council to celebrate #Shroomtember. Throughout the month a bunch of different dad bloggers have been posting their mushroom recipes to their blogs and on Instagram. 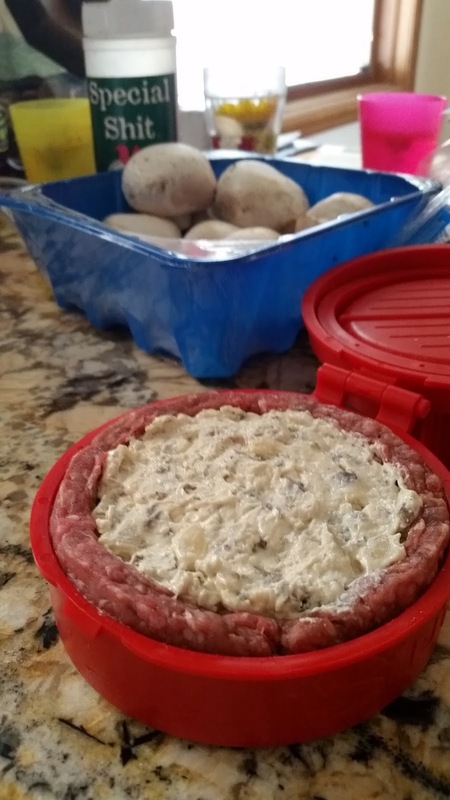 Well, they saved the best for last, because I invited some family members over for a Mushroom Burger Cook off and we have not just one recipe for you, but three! I love mushrooms. I always have. Stevie, on the other hand, took some convincing. And by convincing I mean that I had to hide the mushrooms in any food I wanted to have mushrooms in. I started slow and small, and gradually increased the size and consistency of the mushrooms in our meals. Now we have mushrooms with pretty much everything. If these three fantastic mushroom burger recipes make you want more, be sure to check out all of the awesome recipes at the Mushroom Info Website. And! If you happen to post your own mushroom recipe to Instagram with the hashtag #Shroomtember you could win $500. Stevie made this great picture. She also mispelled Portobello and Mozzerella.She was really tired and had a cold. Be nice. Make a silly face with the Portobello Mushrooms. Dice Crimini Mushrooms and mix them in a bowl with the ground Italian Sausage and ground sirloin. Season meat with Oregano, Italian Seasoning, and Garlic Powder. Gently remove stems from Portobello Mushrooms and lightly brush with olive oil. OH YEAH, Olive Oil is an ingredient you need. Sorry. Put burgers on grill. 5-6 minutes per side. After first flip, put Portobellos on the grill too. Cut and butter ciabatta bread. Lightly dust with salt and garlic powder. Place in oven set to broil until cheese melts and bread browns. Saute onion, mushrooms and jalapenos with 3 tablespoons of butter. With remaining mixture in pan, add additional three tablespoons of butter, three tablespoons of flour, and half & half. Allow to thicken over heat on low. Stir occasionally. Brown the breakfast sausage in a large skillet. Add remaining filling ingredients, except the cheddar cheese. Simmer on medium until cream cheese has melted. Using 2/3rds cup of ground beef, shape beef patty to have a hollow center. 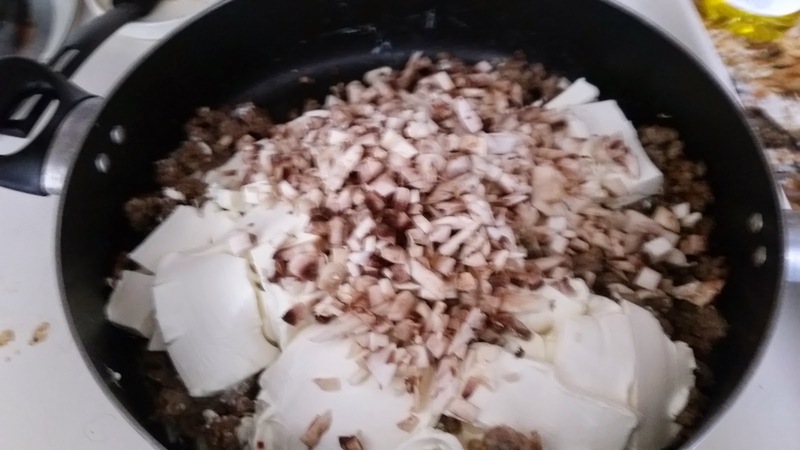 Stuff the center with the stuffed mushroom filling. Use remaining 1/3rd cup of beef to cover the top of the burger. Or, use a StufZ Burger Press to create a hallow burger to be filled. We served these ones without buns because they were so huge! Great post,thank you. These recipes and finished product make really hungry because they look so yummy.